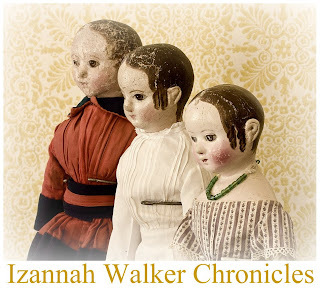 Small Izannah doll by Elaine McNally, blonde doll on right antique. Edyth's blog has more images of doll quilts, so be sure to visit her! 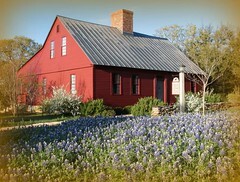 Edyth O'Neill's pictures jogged one of my early memories: Once when I was young I visited an aunt's house across town. 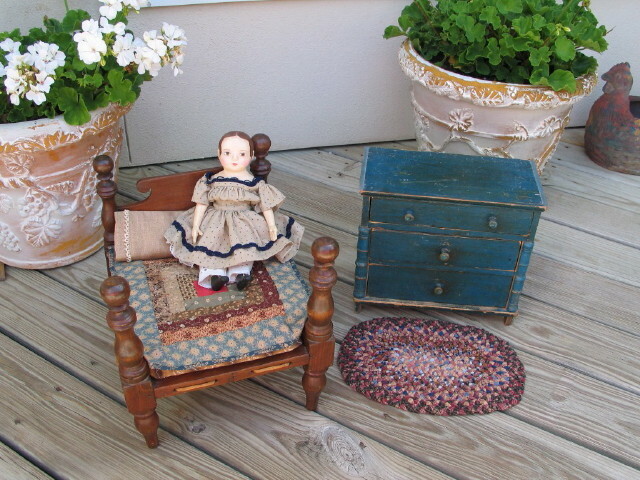 A girl lived two houses down from my aunt's house who had a wonderful wooden doll bed and a doll quilt. I was somewhere between six and eight years old. I've forgotten the girl's name, but I sure can remember that bed and quilt. I wanted it. There was something substantial and heartwarming in that hand-made bed and textile bed covering that the pink plastic Barbie camper couldn't fill. I'm not knocking Barbie, just relating a memory from childhood. Isn't it funny how these memories can stay so sharp and clear? And isn't it interesting how our likes and wants surface so early in life? Old ones are quite pricey, but some lovely ones are made today. 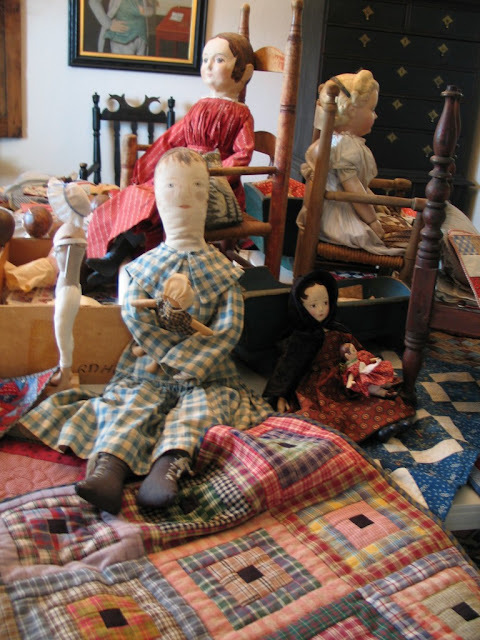 Our next post on quilts will focus on making our own antique inspired doll quilts and the books and patterns available. 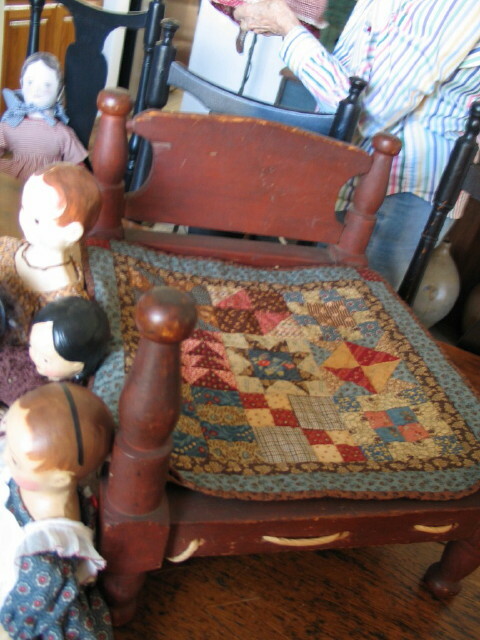 Above and below are shown a group of doll quilts from Three Texas Collections shared by Edyth, followed by some additional quilts shared by internet friends. 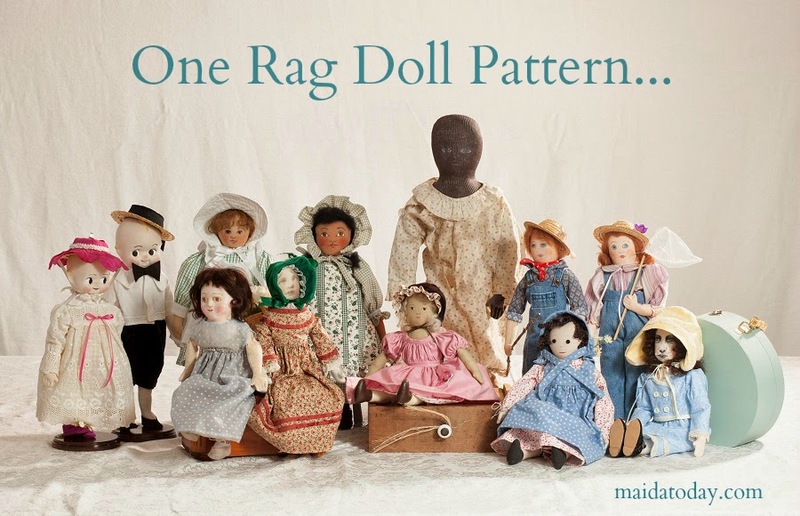 Viewing all these makes me want to make a doll quilt! I've been saving pieces from the doll dresses I've made for just that purpose. 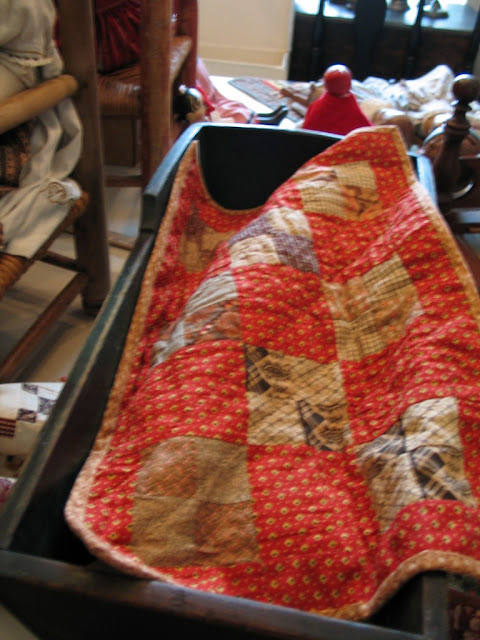 Our next post on doll quilts will be about resources available for making them.